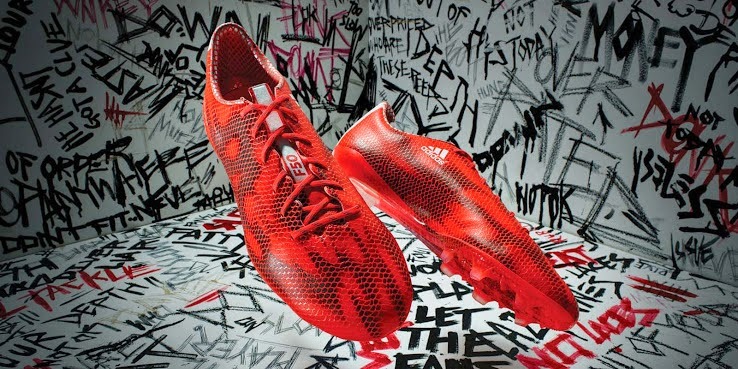 Adidas has released their new F50 Adizero 2015 boots. These boots are part of the campaign that it was started last week called, #ThereWillBeHaters. The first colorway to be made available is the solar red with black reflecting graphics. The boot has a completely new look, with the graphics and color making the majority of the boot, and the iconic three stripes logo being relegated to the tongue and heel of the boot. 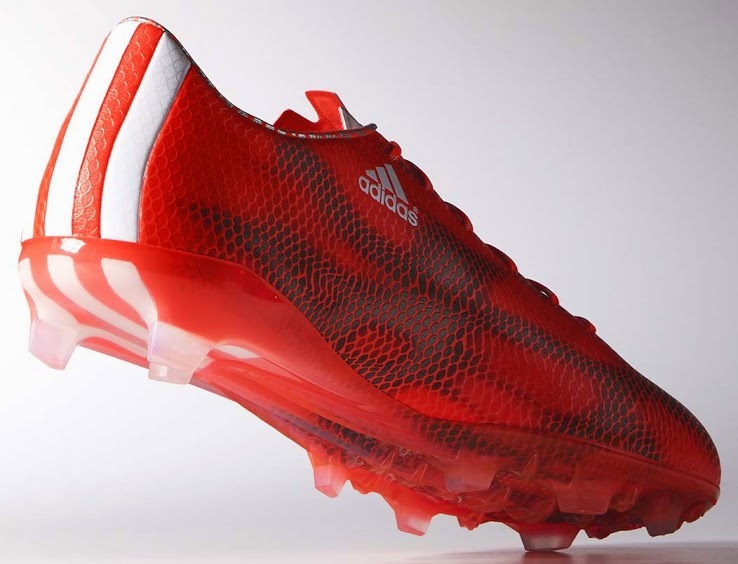 The upper part of the boot is made from a single layer Hybridtouch for better ball control. It is a boot designed for all weather conditions, so it can provide the players with stability for speed and quick change in direction as well as comfort. Another change on this boot is the outsole. Only three studs make the back part of the boot, which is a change from previous models and designs. The boot will hit the market in February of this year.